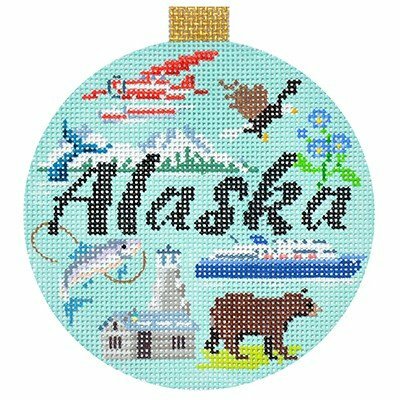 Kirk and Bradley handpainted needlepoint Alaska ornament. If you have lots of thread at home, the Alaska ornament is perfect for a partial Stash buster. Just use your thread for the detail and call us to kit the background.